We here at SERVPRO of Hanover Township / Bear Creek have experience restoring homes affected by storms and flooding. We can respond immediately with highly our trained and experienced technicians who employ specialized equipment and techniques in order to restore your home or business back to pre-storm condition. Storms can form fast, cause extreme damage and then disappear in a matter of hours. We train our technicians extensively in order to have your home restored as quick as we can. During storm repairs we often offer services for you in order to keep your home and belongings safe while we work on them. Services such as tarping and boarding over exposed holes to the interior of your home will help prevent further damage and even looting of you damaged home. 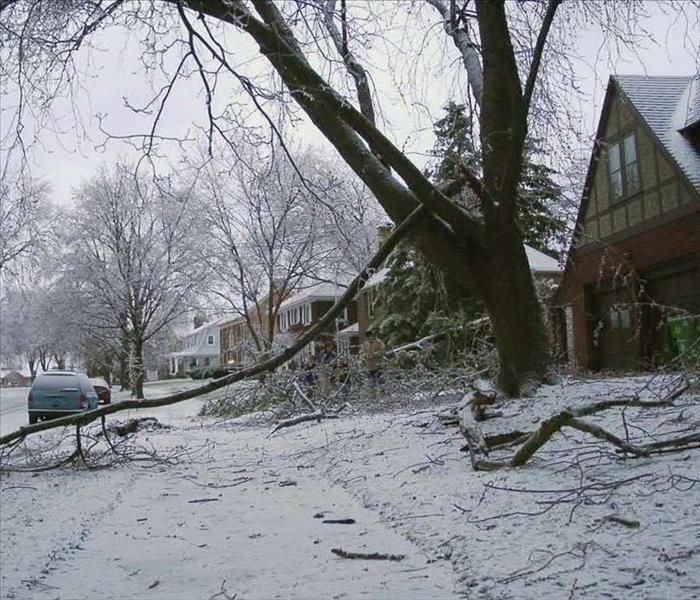 When a storm hits your Hanover Township home or business, you need help immediately. Our quick response will help prevent secondary damage and help reduce restoration costs. We live and work in this community too; we might even be neighbors. As a locally owned and operated business, SERVPRO of Hanover Township / Bear Creek is close by and ready to respond to storm and disaster events. We are proud to be an active member of the Hanover Township community and want to do our part to make our community the best it can be.